When you stay at At Sichon Resort in Sichon, you'll be 14 minutes by car from Wat Pannaram. Featured amenities include a 24-hour front desk, luggage storage, and a library. Free self parking is available onsite. 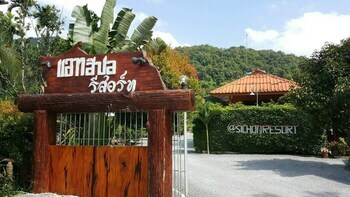 Located in Karon (Kata Beach), Natalie House 1 is within a 5-minute drive of Kata Beach and Kata Noi Beach. The front desk is staffed during limited hours. Free self parking is available onsite.